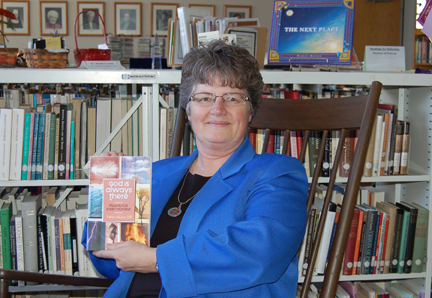 The stories in God is Always There: Psalms for Every Moment, newly released from Liguori Publications, are as varied as earth itself, set in locations from the prairies of North Dakota to the jungles of Guatemala and from offices and storefronts to hospitals and homeless shelters. They feature real individuals who experience a range of emotions: love, loss, grief, gain, joy, anger, fear, and more. Author Kathleen Atkinson, OSB, collected these stories during years of ministering to others, especially those on the fringes of life. She has matched each reflective story with an appropriate psalm and prayer response, to help readers come to know that God is always there, in every moment. "For more than 4,000 years, the Book of Psalms has been the song offered by the believing community who lived out this vibrant reality that God dwells in all experiences, happy and sad," writes Atkinson. Atkinson encourages the reader to choose a psalm and story appropriate for the moment. Chapters are titled so as to easily find a relevant psalm and reflection, such as "To Cry for Help," "To Be Steadfast," "To Live Unafraid," "To Rejoice." She invites the reader to pray the psalm, read the story and reflection, pray the response and then act on the Holy Spirit's prompting. Sister Kathleen Atkinson is a Benedictine Sister of Annunciation Monastery. Nationally recognized as a leader in hunger and homelessness education, she has developed service learning experiences for all age groups and led service teams to a variety of foreign and United States locations. After returning from time in Guatemala with the Institute for Trafficked, Exploited and Missing Persons, she is currently engaged in speaking, writing, and a "Ministry on the Margins" with at-risk youth, state penitentiary inmates, and other people who are Anawim, God's poor and lowly ones among us. She holds a Doctor of Ministry, awarded with distinction, from St. Paul Seminary School of Divinity of the University of St. Thomas in St. Paul, MN and a MA in Religious Education from St. John's University in Collegeville, MN. God is Always There: Psalms for Every Momentcan be purchased through Amazon, Liguori Publications and Barnes & Noble bookstores. Digital edition available soon!